At Millennium Medical Cosmetic Center we are here to support and offer you the best option for your skin condition with effective and minimally invasive treatment option services. Laser treatments are used for a various of skin conditions including; fine lines, wrinkles, age spots, scars from acne, sagging skin, hair removal, broken capillaries and hyper pigmentation. Our Cosmetic Center offers three different Lasers for different skin types and skin conditions. Lyra I Laser – Used for hair removal, acne, pseudofolliculitis and sagging skin. Aura Laser – Used for broken leg vessels, hyper pigmentation caused by age spots, rosacea, sun damage and freckles to even skin tone and reduce inflammation. Venus Laser – Vaporizes the outer finest layers of the skin to remove fine lines, discoloration and acne scars. Our Doctors have been using Botox for years to treat winkles, expression lines and other facial creases. Botox is used on forehead lines, crow’s feet and frown lines. At home care is just as important, we offer different Skin Care Product lines for your at home care to continue to treat your skin. For more information and consultation for your skin condition concern contact our office at 734-728-2889 to go over the best options for you and to make an appointment. We love seeing patient results and offer nothing less. 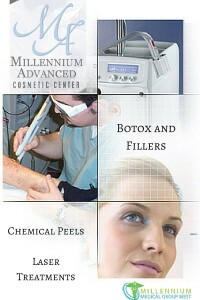 Start today for more youthful healthy looking skin with Millennium Advanced Cosmetic Center! On the surface, the decision to undergo a laser hair removal procedure may seem like an option only resorted to if you’re sick of shaving or waxing all the unwanted hair on your body that just keeps growing and growing. But actually, there are plenty of good reasons and benefits that come with turning to laser hair removal in Westland or Dearborn, Michigan! It Saves Time and Money – Once you experience laser hair removal, the treatment is permanent. This throws your daily ritual of shaving or waxing out the window, so you don’t have to spend time doing it in the morning or night anymore. Also, the price of the procedure will pale in comparison to the price spent on shaving and waxing supplies over the years. It Removes Ingrown Hairs – You can stop worrying about the discomfort or embarrassment that sometimes come with ingrown hairs when you decide on laser hair removal. It Brings Self-Confidence – If you have unsightly or unwanted hair on your body, whether you’re a man or woman, it can negatively affect your self-esteem, especially when it comes to relationships or public appearances. But when your hair is eliminated, your confidence returns. It’s Permanent – Over 90% of patients who undergo the laser hair removal procedure have permanent hair loss once they complete an average of three to five sessions. There’s no need to waste money on any other hair removal methods when you can capture these kind of results! To get yourself prepared for laser body or facial hair removal in Dearborn or Westland, MI, you should keep the waxing, plucking, or any other method of hair removal to a minimum for at least six weeks prior to your procedure. We suggest this because the laser aims for the roots of your hairs, which can be temporarily removed and undetectable if you have plucked or waxed in the days leading up to treatment. At the Westland Clinic and our Millennium Advanced Cosmetic Center, the procedures performed by our Michigan doctors are not only affordable but they are safe, and approved by the FDA for people of all skin types and colors. 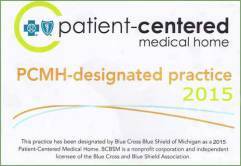 We are sure to have certified skin care consultants on hand to supervise each and every procedure we administer! Contact us today to schedule an appointment or to express your concerns. We’d love to talk!